Photos of different operations at the Dearington Sanitary Landfill. Photo of the Dearington Sanitary Landfill. 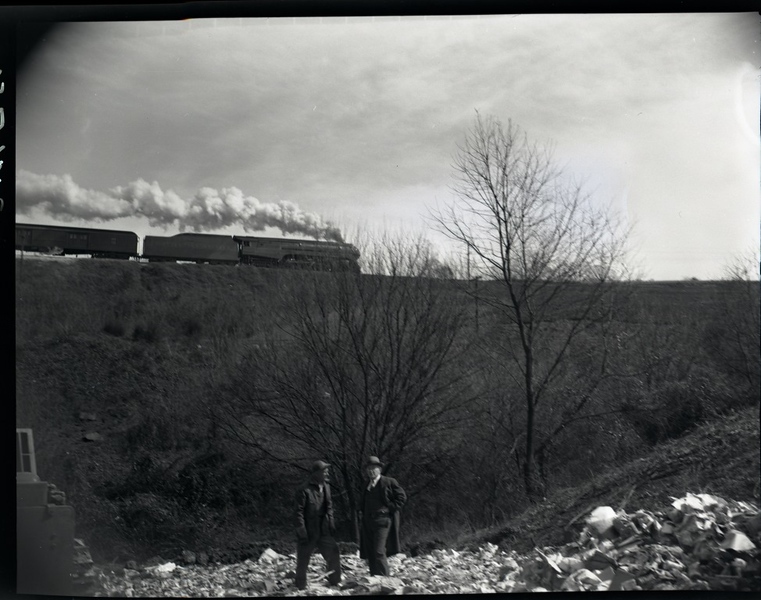 This image has a passenger train steam engine in the background, and two men standing in the foreground. The train is probably the Tennessean, a mixed train (Southern and N & W) operating over Southern tracks. A bulldozer is off to the left. Photo was taken March 1949, Lynchburg, VA. 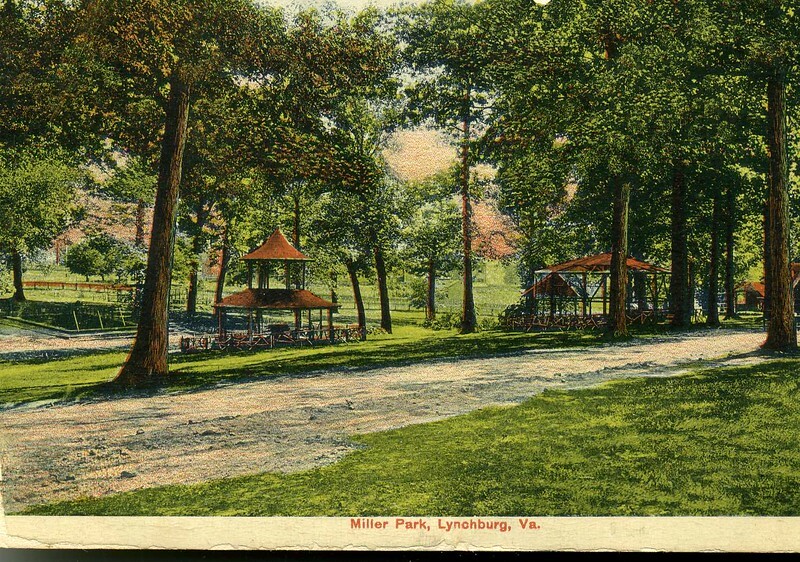 The Lynchburg Museum System does not own copyright for all material in its collections and therefore, cannot grant or deny permission to publish or otherwise distribute the material. Please note that the written permission of the copyright owners and/or other rights holders is required for distribution, reproduction, or other use of protected items beyond that allowed for fair use or other statutory exemptions. The responsibility for making an independent legal assessment of an item and securing any necessary permission rests with the person desiring to use the item. All images in this collection may be used for educational or scholarly purposes and are provided free of charge at a low resolution for this use. 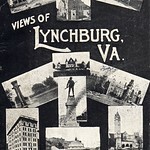 We do ask that the credit line: Courtesy of the Lynchburg Museum System be used with each image. If you would like a higher resolution of a particular image, an access/handling fee will be charged. Please contact the Museum at (434) 455-6226 or at museum@lynchburgva.gov for assistance.